Pre-order HOP (the movie) for $16.99! Head to Amazon and pre-order Hop – DVD (2011) for just $16.99. It comes out on March 23rd. As always with Amazon pre-orders, if the price of the movie drops before it’s released, you will only pay the reduced price. Make sure to get the FREE Jell-O mold for Easter and check out my Pinterest page with Easter ideas! Looking for a pot of gold? What better way to bring some St. Patrick’s Day fun into your home than with these rainbowlicious cupcakes? 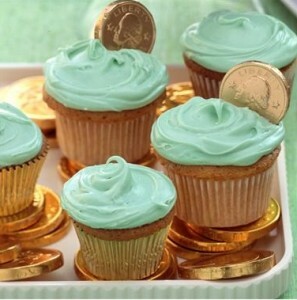 With a few simple ingredients, you’ll be sure to lure a leprechaun your way. Follow cake mix package directions for cupcake cooking instructions.Become creative with icing and sprinkle toppings. Consider a gold coin candy or Rolo for perhaps a piece of gold at the end of your Air Head rainbow. While waiting for these yummy treats to bake, have your kids put their imagination to work! Encourage your young engineers to gather items around the house and design a leprechaun trap. Painting and coloring of course are great ways to celebrate all the colors of the rainbow too! Don’t forget to check other Saint Patrick’s Days Activities on FCL’s Pinterest Board – be sure to follow that creative board and others! 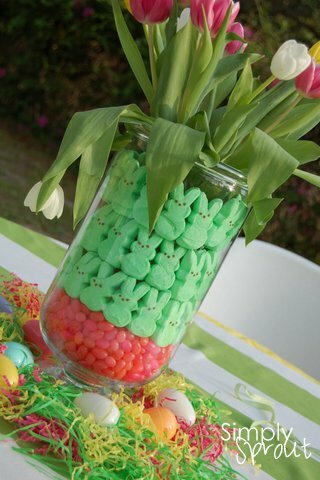 Do not forget this cute Easter centerpiece Idea! Add some Easter fun to your tabletop with this kid friendly activity. As mothers and teachers, we at Simply Sprout relish in the times when creating and learning go hand in hand. We are excited to be a guest here on Frugal Coupon Living, and share with you inspiring ideas to make your home a creative place to be. For more ideas visit us at www.simplysprouteducate.com. This giveaway is closed. Make sure to check out the great recipes at McCormick. Check out the great McCormick Items for sale. McCormick – a name that has been around for generations. Generations as early as 1889. When baking with my daughter in the kitchen, their products are usually taken off the shelf at least once! 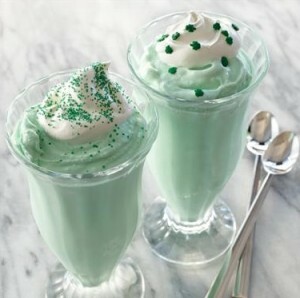 In time for the Spring holidays, McCormick has placed on their website a creative recipe sheet to help you make the most adorable or the most Festive Saint Patrick Day Treats including Pot of Gold Cupcakes. You can follow McCormick on Facebook at /McCormick Spice. What we REALLY enjoyed in our home was the Milkshakes! Right now ONE Lucky Frugal Coupon Living readers will win a McCormick St. Patrick’s Day Kit including food coloring, flavoring, cupcake holders and more! Note: Find more Saint Patrick’s Day Pins on Pinterest. You can enter up to two times – that would mean, leave one or two comments. You do not have to enter more than once. Read more about how to enter giveaways. 1.) Tell me anything fun you will do for Saint Patrick’s Day. 2.) Sign up for Frugal Coupon Living Emails. You must confirm your subscription! This giveaway ends on Tuesday, March 13 at midnight ET. The winner will be contacted via email and will have 48 hours to respond. If I do not hear from the winner by that time, a new winner will be selected. Note winners may not receive the facial tissue box that they voted upon in their first entry. Please Note: Email entries will not be accepted. If you are reading this giveaway in a reader or in your inbox, please select the post to direct yourself over to the site. Due to time constraints, I am not able to enter email, Twitter, or Facebook entries on my own. Thanks! Disclosure: For this post, I was provided a McCormick Baking Kit for Review. All opinions expressed are my own and should not be substituted as your own. B1G1 Tees at Old Navy! Head to your nearest Old Navy store for this great sale on tees for the whole family! Now through March 21st in stores ONLY, you will get one FREE when you buy one of equal or lesser value! This applies for adults and kids. Not valid on clearance or graphic tees. Don’t forget the $10/$40 coupon I told you about on Facebook! If you’re good with a sewing machine, you can try the idea below, as found on Pinterest! Two tees are needed to make this little cardigan and you get two for the price of one with this sale! Find more Retail Deals on Frugal Coupon Living. And make sure to Follow me on Pinterest too! Bake for 25-30 minutes until a toothpick inserted in the center comes out clean. Allow to cool for 10 minutes, then remove from the pan and allow to cool completely. 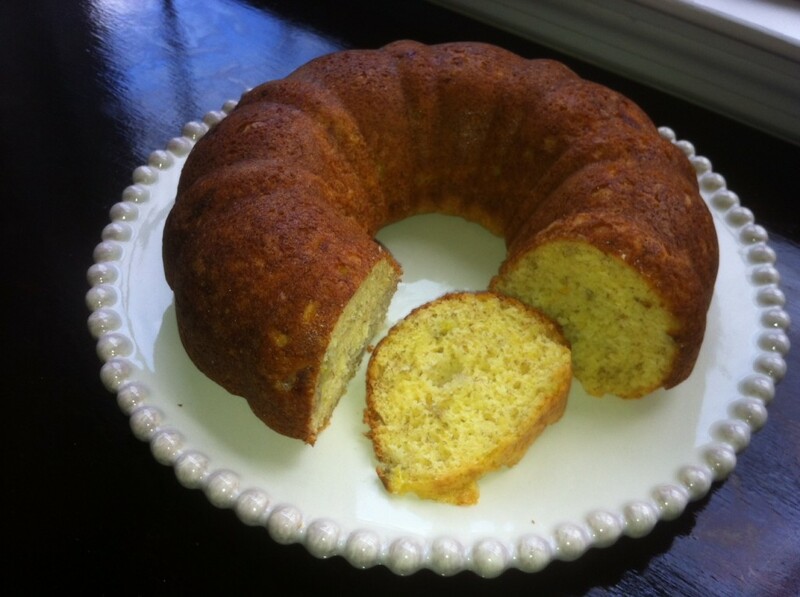 Note: You can substitute the cake for white, chocolate or even butter pecan cake mix. You can also use vegetable oil or apple sauce instead of coconut oil. Amazon has the Nutiva Organic Extra Virgin Coconut Oil, 15-Ounce Tubs (Pack of 2) reduced to $15.30 with Subscribe & Save. (What is Subscribe and Save?) This makes each container $7.50/each. Yellow Cake Mix – Duncan Hines Signature Yellow Cake Mix (Pack of 6) $16.66 or $2.78 per box. White Cake Mix – Duncan Hines Classic White Cake Mix, (Pack of 6) $16.93 or $2.82 per box. Find More Amazon Deals on Frugal Coupon Living. Head to Amazon for a look. Note: Keep in mind that rices on Amazon change quickly and often. Find this recipe and others on My Pinterest Boards. Pick up 8 FREE Girl Scout Cookie Copy Recipes. This FREE eBook comes in PDF format! I also grabbed a few on Pinterest. Be SURE TO FOLLOW me for other ideas I pin for FCL.